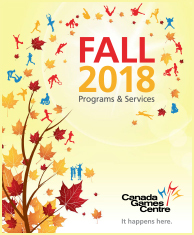 Fall back into an active routine this September with all of your favourite registered programs or try one of our exciting new ones! With a continued focus on physical literacy and a variety of programs and sports, there is something for all ages and fitness levels to help develop the skills and confidence to enjoy it all. These workshops are a great opportunity to step out of your comfort zone, meet other members with similar interests, or maybe even discover a hidden talent or passion new to you! Develop motor skills and be creative while doing basic dance steps, playing floor games and singing in our new fun Dance program! …And so much more, including Pickleball, Karate, Wrestling and Badminton. Take your training to the next level with Iron Circuit — a strength and conditioning interval program that’s sure to get your heart racing! Have fun while learning basic survival skills and proper swimming techniques in Lifesaving Society’s Swim for Life Programs — Parent & Tot, Preschool, School Aged Swimmer levels, Teen & Adult lessons. The CGC Swim Academy returns for another exciting competition season this fall! All our youth aquatic sport teams under one umbrella, and with lots of opportunity to try them all. CGCSA Member Renewal Night takes place July 24th or 26th. Learn more about Swim Academy at the Information Nights on August 21st or 23rd. 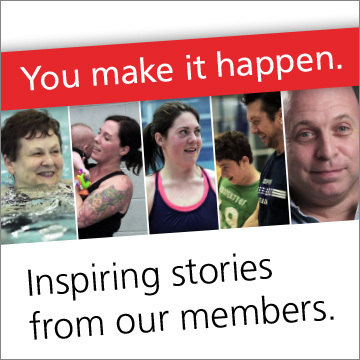 If you have any questions, please reach out to Lauren at swimacademy@canadagamescentre.ca. Join us again this year on Sunday, October 14th for the 6th Annual Food Run as we support FEED NOVA SCOTIA and celebrate community, healthy living and physical literacy. Registration is FREE. It happens here this fall!